Switzerlands Federal Councillor for Economic Affairs, Education and Research Johann Schneider-Ammann is going to lead a mission to South Africa this week intended for developing partnership between the 2 nations in economic affairs, science, research and innovation. The Swiss foreign ministry stated on Monday that Schneider-Ammann, will be spearheading a delegation of Swiss science and business representatives, they will arrive in South Africa on Wednesday the 4th September for a four-day business trip at the invitation of the South African Trade and Industry Minister Rob Davies. Following the 4th meeting of the Swiss-South African mixed economic committee, which takes place in Pretoria on Wednesday, the delegation will be busy holding discussions with Davies, Science and Technology Minister Derek Hanekom and Higher Education and Training Minister Blade Nzimande. There will also be additional meetings with South African businesses and organizations such as institutions working in education, research and innovation. "South Africa is Switzerland's most important trade partner and export marketplace in the African continent as well as being an important major location for research collaboration," the Swiss foreign ministry declared in a statement. "Over one hundred Swiss businesses have branches in South Africa whilst a number control sizable manufacturing plants in the country. A lot of the most significant Swiss businesses and organizations have maintained a long-term presence in South Africa .
" South Africa is a strategically crucial location because of its resources as well as developed infrastructure, SA is also well placed and is frequently used as an economic and logistical hub for the pan African continent ." 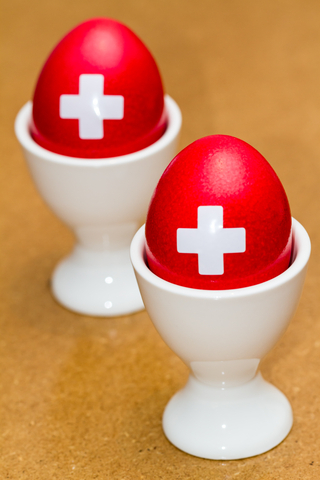 As reported by the ministry, Swiss direct investments in South Africa amounted to over CHF 2 .2-billion at the end of 2011, establishing Switzerland as the fifth-largest country of origin for overseas direct investment into South Africa . By the end of 2011, Swiss businesses in South Africa employed approximately 34 500 South African workers. South Africa is additionally one of eight non-European priority nations for Switzerland's education, research and innovation policy. Following the signing of a bilateral agreement on scientific and technological cooperation in December 2007, the Swiss-South African Joint Research Program was established . "The 1st phase of the program ( 2008-2012 ) recognized mutual projects financed in the areas of public health and biomedicine, bio- and nanotechnologies and humanities and social sciences.The subject of renewable energies . . . Has been included in the existing portfolio for the latest stage of the program ( 2013-2016 )," the ministry declared.